Sugar gliders (Petaurus breviceps) are small Australian possums which have a “wing” membrane (a patagium) that joins their fifth finger to their first toe, allowing them to glide between trees which are 50m apart. 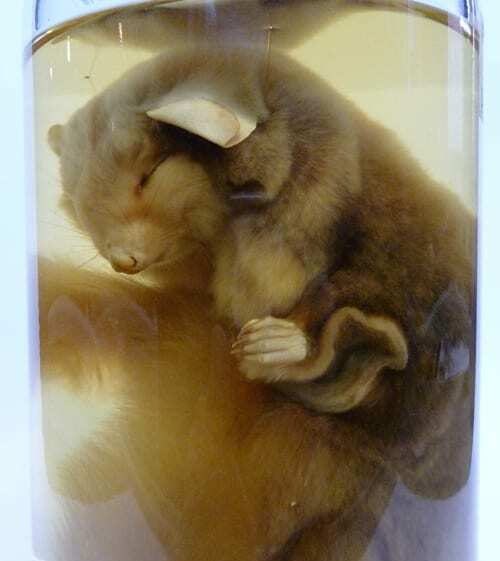 They are one of the “wrist-winged gliders” which belong to the marsupial group Petauridae, that also contains the Leadbeater’s possum – which has a much reduced membrane (and featured in the form of a knitting kit in our Strange Creatures exhibition) – and the aye-aye-like striped possums. They nest in the hollows that form in old tree trunks. Sugar gliders, like other members of the genus, have a broad diet that varies with the seasons, depending on what is available. The “sugar” bit of their name is from their habit of eating nectar and tree sap – which they access by cutting holes with their sharp front teeth. Gliding (or volplaning as it is technically known) is a great advantage when foraging for this kind of patchily distributed food. They also eat a lot of arthropods and opportunistically go for seeds, bird eggs (see below) and small vertebrates. 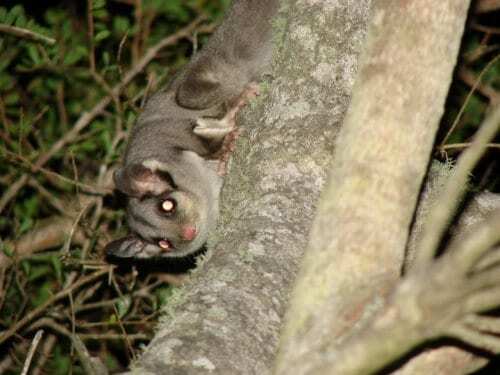 Gliding is such a good thing for a possum to do that it has evolved convergently in two other closely related families, all within the superfamily Petauroidea. The feathertail glider (family Acrobatidae) has a thick wing membrane AND a flattened feathery tail. The greater glider (from the family Pseudochiridae, with ringtail possums) only has a membrane to its elbows, so it tucks it hands under its chin when it glides. It can glide for 100m. Sugar gliders’ distribution stretches north and then west from the far southeast of Australia, across the northeast cape, through the Top End and into northern Western Australia. Or so everybody had thought for the last two centuries. 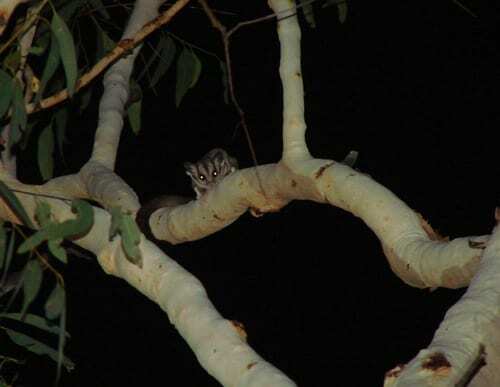 Just last year, researchers took a closer look at the gliders in northern Australia (where they are not rare) and found that they are definitely not sugar gliders. Genetic studies suggest they are more closely related to squirrel gliders. They are now in the process of describing the new species. I’ve seen them a number of times on fieldwork in the Kimberley (far northwest Australia) with the Australian Wildlife Conservancy, including just last month. It is exciting to see undescribed mammal species, but also frustrating to not know the name of the species I saw (it doesn’t have a scientific name yet, but some are calling it the Lambalk glider, its indigenous name). Sugar gliders are also found in Tasmania, but it has recently been demonstrated that it was humans who took them there, across the 100km wide Bass Strait in the 1830s.This has proved deadly for one of the world’s rarest parrots – the swift parrot, which only nests in southern Tasmania. Most examples of the impact of introduced species on ecosystems come from when they are moved between countries. If you can think of other harmful examples of introductions within countries (like this one – mainland Australia to Tasmania) then please write them in the comments box. *While this would be the main benefit humans would gain from gliding, this adaptation is also extremely effective for predator avoidance, among many other things.